The Capricorn woman is a very individualistic, mature, sensible and traditional woman. She will rarely confront the individualistic, independent and firm Aquarius man and will more often than not be submissive to his ideas and beliefs. 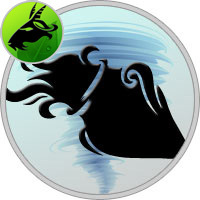 The Capricorn woman will avoid all forms of confrontation with the Aquarius man and lives a very traditional lifestyle in which she respects the husband’s words and duties above all the rest. The Aquarius man and Capricorn woman tend to form a great couple as the tameness and submergence of the Capricorn woman feeds the Aquarius man’s independence and freedom. The troubles in this relationship arise when the carefree, aloof Aquarius man expects his routine and traditional Capricorn woman to keep up with his mood swings and sexual fantasies. The Aquarius man spends time fantasizing and day dreaming which makes the Capricorn woman quite suspicious. But because of her submissive nature she doesn’t do much about it but to grin and bear. This causes trouble and can work against them. The best way for them to work out their differences is to understand each other’s nature and learn to work around it. Another point of difference between the two signs can be the requests by the Capricorn woman that are misinterpreted as constant nagging by the Aquarius man. For example, when the Capricorn woman, being a homely and domesticated spouse takes initiatives to plan meetings and dinner with close family and friends and pleads her Aquarius partner to join in, White often he takes this as a constant nag and it turned off by it. His aloofness and carefree nature dictates that he needn’t be bound by routines, schedules and compulsory meetings. Every relationship has its ups and downs and between the Aquarius man and Capricorn woman, there may seem a few extra. The solution for this lies in both their hands where in a little amount of understanding and appreciation for each other’s attributes and needs. Bearing in mind all the negatives in this relationship, one must not ignore the positives that these two signs share. Sexually, they will both make amazing partners as the Aquarius man is all about the variety and the Capricorn woman is dedicated towards working hard and keeping her man happy.